The actor: Cloris Leachman has won more Emmy Awards than any other performer—she has eight of them—and won an Oscar for her work in The Last Picture Show. In addition to being seen every week on Fox’s Raising Hope, where she plays Maw Maw, Leachman continues to appear in the occasional movie as well, such as indie horror film The Fields, recently released on DVD. 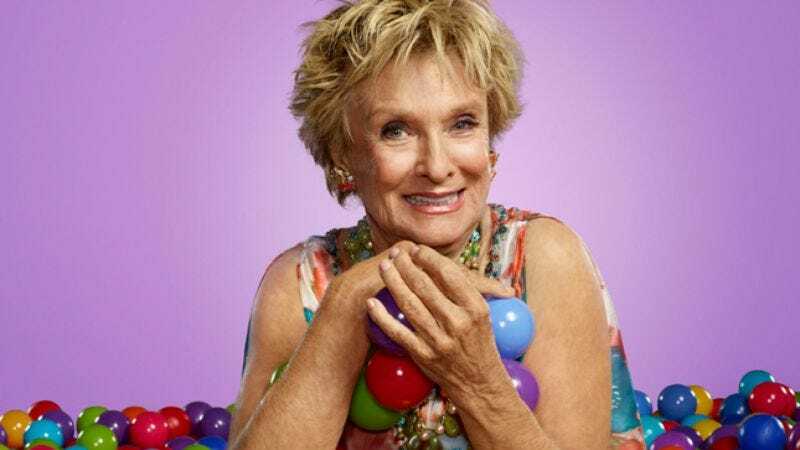 Cloris Leachman: You know how it goes. They call and say, “You’ve been offered this,” so they send you the script, you read it, and you say yes or no. I said yes for this one. The A.V. Club: What was it about this particular script that made you want to do the picture? CL: Oh, I just loved it. I loved the simpleness of it. They’re just living out there, and they have their work to do in the fields, and they just live a simple life and work hard. But it’s a very strong character, I think. Gladys. And I love my relationship with my family in it, too. AVC: A lot of films live or die by the child actors in their cast, but in The Fields, Joshua Ormond holds his own admirably. AVC: This isn’t your first time in a role with a direct connection to cornfields, although the other one revolves more around someone who sends people to them. CL: [Laughs.] That’s right! I didn’t even think about that! That’s pretty funny. I don’t know if you saw it, but we actually went back and revisited that episode some 40 years later, with Billy Mumy’s daughter [Liliana], who looks exactly like him. That was a lot of fun. AVC: What do you remember about working on the original episode, “It’s A Good Life”? CL: Only every single moment. I had a couple of friends who I loved very much who were working on it, and it was just a wonderful experience, working with Billy. AVC: Rod Serling wrote the original teleplay for The Rack. Was that where you first crossed paths with him? CL: I didn’t know he’d written that. I didn’t know who the writer was. [Laughs.] Paul Newman put me in three of his films, and that was one of them. AVC: Was The Twilight Zone were you first met him, then? CL: I didn’t meet him then. I met him on an airplane. He was sitting behind me, and I was trying to get him not to smoke. Which is what killed him, of course. He was a big smoker. AVC: What was your reaction when they pitched you the sequel, “It’s Still A Good Life”? CL: “What fun!” And it was. It was a lot of fun. AVC: Did you keep in touch with Billy Mumy over the years? CL: I’ve never kept in touch with anybody. [Laughs.] You don’t keep in touch. You just go home and have dinner with your own family. CL: I didn’t know what my last name was at first. Charlotte [Rae] had named the new character “Beverly Ann” from her two sisters, Beverly and Ann, but there was no last name. So I went to Scottsdale for something, and I called my manager and I said, “What’s my last name?” He said, “I don’t know.” I said, “Well, let’s write some names down, and we’ll call tomorrow night at 6 p.m. and say them.” So we did, and we called, and the third name down on both our lists, we had both written “Stickle.” Isn’t that remarkable? AVC: How was it to step onto that show, given that it had already been on for so long at that point? AVC: You actually went to college with Charlotte Rae. CL: Yeah, we even lived together in New York for a year, in my apartment. We were roommates for a year. But…what’s his name? The funny guy. Paul Lynde and I were the ones who ran Northwestern. [Laughs.] Oh, he was so funny. We’d sing opera every Saturday afternoon. He’d play the piano, and we’d all sing different parts. He and Charlotte and I. And it wasn’t even real opera. We were all just making it up! AVC: Lynde’s biography, Center Square, discusses how he really started to come into his own once he got to college. AVC: Rather than attempting to make the sound myself, let’s pretend that a horse just whinnied. CL: [Laughs.] I’ll tell you what “Blücher” means in Yiddish. [Mel Brooks] told me a few years ago. It means “glue.” So all the horses were afraid that they were going to be sent to the glue factory. AVC: Did you really audition to reprise the role in the Broadway version of the film? CL: I didn’t audition. I was going to play it. We all flew there to read it for the producers. I happened to be terribly, terribly sick, but I was hiding it from everybody, and I thought nobody knew it. But apparently Mel saw me and thought I might die onstage. [Laughs.] So he was too worried. Also, one of the producers thought it would be better not to be like the movie, to make it its own thing, which is very smart, I think. And the director, Susan Stroman, had promised my part to her friend, so she played it, and I think she did fine. But we were just doing a deal to go on the road with it when it folded in New York. So that was the end of that. CL: Ellen Burstyn and I never stopped talking in our Texas accents. [Laughs.] Even though both our marriages were falling apart. It was very important, you know, that we talk all the time. We hung out together, but never without our Texas accents. And we were all in love with Jeff [Bridges]. AVC: How was the experience of reprising the role of Ruth Popper for the sequel? AVC: Were you surprised Phyllis was spun off into her own series? CL: No, I expected it. At one point, I wasn’t very heavy in something like seven out of 13 scripts, so I said, “Do I have to be there for those? Would you let me go during those?” So they let me go, and that’s when I did The Last Picture Show, Young Frankenstein, and several other things. But, no, the character was built up enough eventually that it was easy to go into a series from there. CL: Oh, when I had to stab my grandson in the leg with my big knitting needle, and then he winces, so I stab him again. [Laughs.] I mean, that was just hysterical! I’m sorry that’s off the air. I know it’s still showing all over the place in reruns, but I’m sorry they’re not making any more of them, because I loved doing them. It was great fun. CL: Oh, I certainly remember that. Who was the costumer on that? He was a famous man. Donfeld? I remember him making by hand my hairpiece that I was wearing over my hair. It was all beaded. It was very beautiful, and he made it. He was very proud of himself. AVC: Are you enjoying the grind of doing a weekly series again? AVC: Did you ever expect you’d be showing this much skin at age 85? CL: Never! [Laughs.] Uh-uh. And I’m going to be 86 at the end of April! But I knew I’d still be working. Even when I was 6 years old, I knew it. I’m having an amazing, wonderful life. I can’t imagine that it could be even better. I think I’ve driven Martha [Plimpton] crazy, so I’m trying to be good. It’s hard, but I’m trying. AVC: You do have a tendency to get a little anarchic at times. You more or less commandeered the Raising Hope panel at the Television Critics Association press tour.